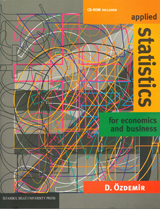 This textbook introduces readers to practical statistical issues by presenting them within the context of real-life economics and business situations. It presents the subject in a non-threatening manner, with an emphasis on concise, easily understandable explanations. It has been designed to be accessible and student-friendly and, as an added learning feature, provides all the relevant data required to complete the accompanying exercises and computing problems, which are presented at the end of each chapter. It also discusses index numbers and inequality indices in detail, since these are of particular importance to students and commonly omitted in textbooks. Throughout the text, it is assumed that the student has no prior knowledge of statistics. It is aimed primarily at business and economics undergraduates, providing them with the basic statistical skills necessary for further study of their subject. However, students from other disciplines will also find it relevant. 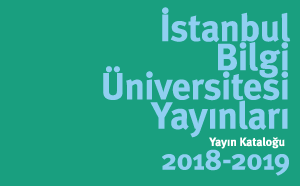 Durmuş Özdemir is a professor in economics at Yaşar University, İzmir, Turkey. He received his PhD degree in Macroeconomics from University of Leicester, England. He hold a PG degree from the University of Glasgow and BSc degree from Hacettepe University. Previously, he had worked for the University Of Sussex, England, Bilkent University, Ankara and Istabbul Bilgi University, Turkey Université libre de Bruxelles (ULB), Belgium. More than ten years of his academic life is spent in Europe. Durmuş is interested in Statistics, Growth, Trade, European Economic Integration, Macroeconomics, CGE and Structural Economic Modelling. He is a research associate at Economic Research Forum and an instructor and research fellow for the ECOMOD global economic modelling group where he involved in building several country models including the model used for the peace dividend for Greece and Turkey. He is edited several conference proceedings and published number of papers, books and chapters in edited volumes in his research area. He is currently a Jean Monnet Module Holder on European Political Economy and World Trade Organization (WTO) regional Trade Policy instructor for Central and Eastern Europe, Central Asia and the Caucasus Countries (CEECA). He is a project Evaluator for TUBITAK. He is also an advisor to the European Parliament on the issues of trade and economic relations between Turkey and the EU.